Le Petit Prince: Zephyr's Flying Organ. When the wind stops blowing, the Eolians can't warm up their planet anymore ! Who then is going to make the wind blow ? LDF Notes: This collection features the internationally recognized Le Petit Prince. These adventure books will draw on children's imagination. Suitable for 6 - 7 year old readers. Also make perfect bedtime stories. 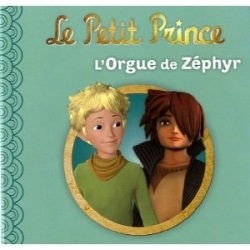 Le Petit Prince: L'Orgue de Zéphyr. 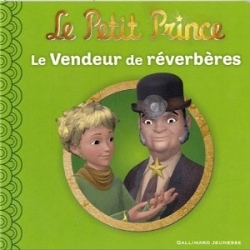 Notes LDF: Cette collection met en scene Le Petit Prince et son compagnon, Renard. Ces livres d'aventure font appel a l'imagination des enfants. Convient aux enfants de 6 - 7 ans - niveau de lecture intermediaire. Ces livres peuvent egalement etre lus avant le coucher: la parfaite petite histoire du soir ! Description: Soft Cover - 24 pages - 5.5 x 5.5 in.